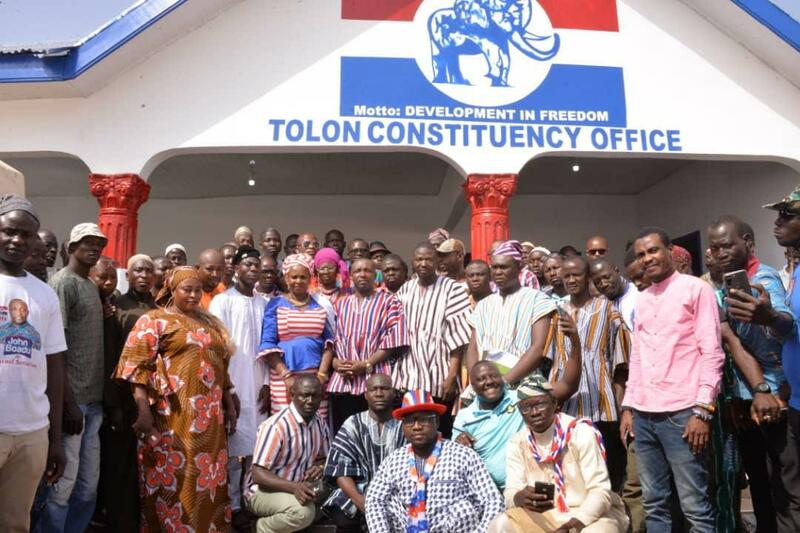 The General Secretary of the NPP, John Boadu, on Saturday, February 9, 2019, commissioned an ultramodern party office in one of the party’s traditional towns, Tolon, in the Northern Region. The office complex was constructed and donated to the party by a young businessman and party sympathizer, 33-year old, Abdul Malik Alhassan, for use as the Tolon constituency office. 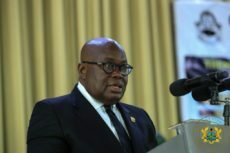 The party’s rank and file in the constituency greeted the occasion with a jamboree, essentially setting the entire Tolon township agog, as evidence of their immeasurable excitement. John Boadu was accompanied by the northern regional executives of the party, led by the indefatigable regional chairman, Mohammed Adam Samba, as well as some Members of Parliament and MMDCEs in the region, and a host of party faithful in their hundreds.